I'm taking a break from renovation updates for a week or two. I have so much to tell you. I can barely stand the wait, but I think it's best to let everything get finished and then share everything. from this scene currently underway in my entryway. So, I attempted to create a little beauty amongst the chaos. 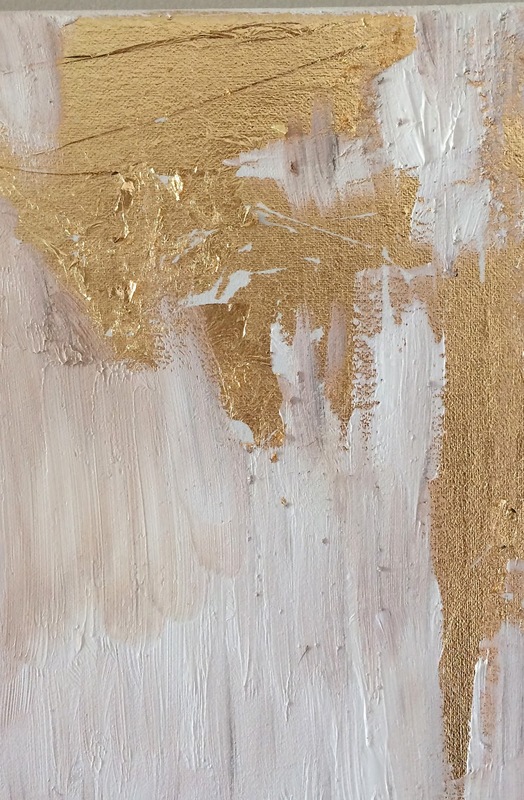 Here's my gold leaf abstract painting. I've been wanting to make one for awhile now, and after seeing these beautiful versions here and here, I trotted my pony as close to the wagon as I could, and slung myself right in. I've created my fair share of art in the past, and this one is definitely a favorite. 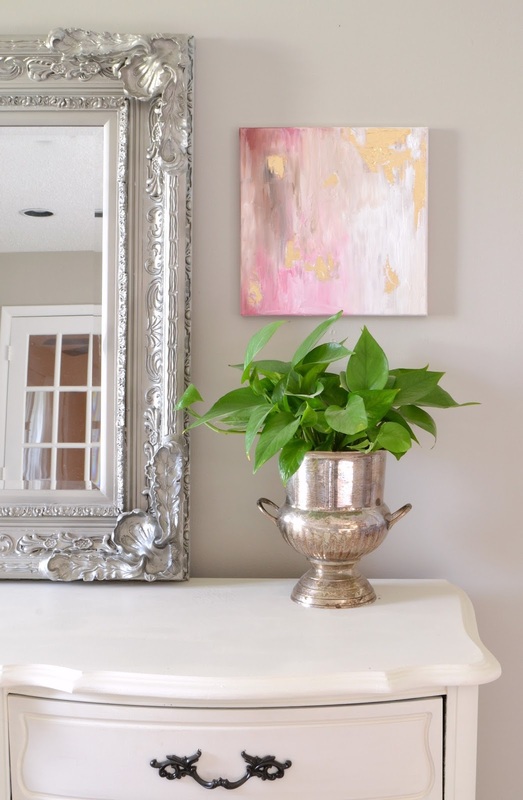 The gold leaf really just makes it. Plus, I feel like it'll look good just about anywhere. Not like I have any way of testing that theory right now, but ya know. For the time being, I hung it above Bartholomew. After all this time, I've never properly introduced you. You can call him Bart if you'd like. So, let's run through a quick tutorial. 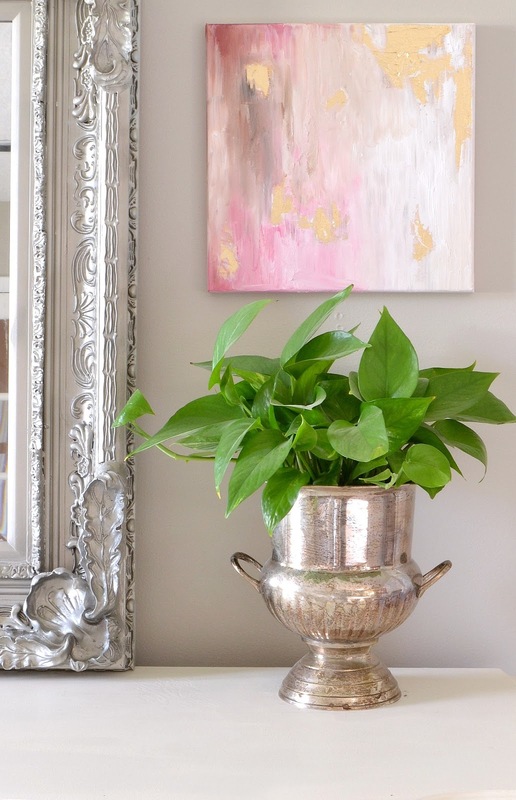 The good news is that if you possess the ability to smoosh paint on a canvas and use a glue stick, you can do this. If this artistic amoeba can do it, anyone can. 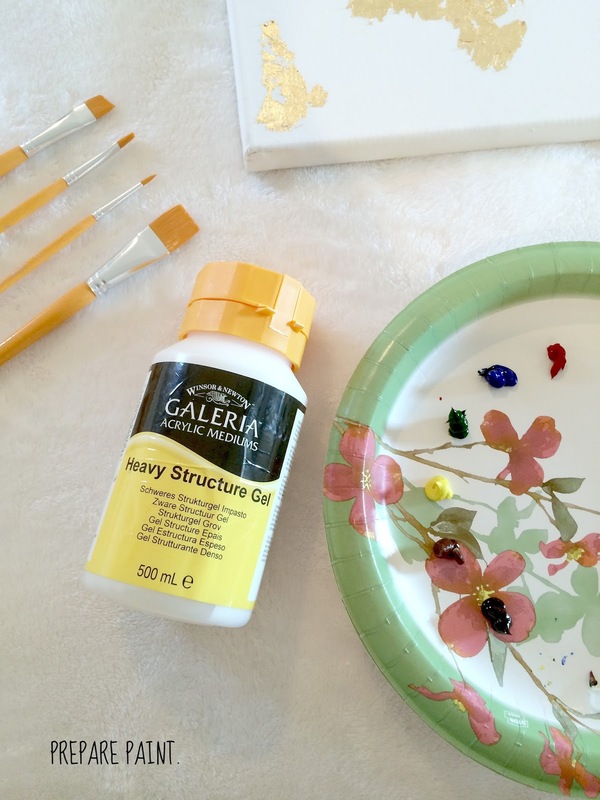 Heavy structure gel. I used the Galeria kind. 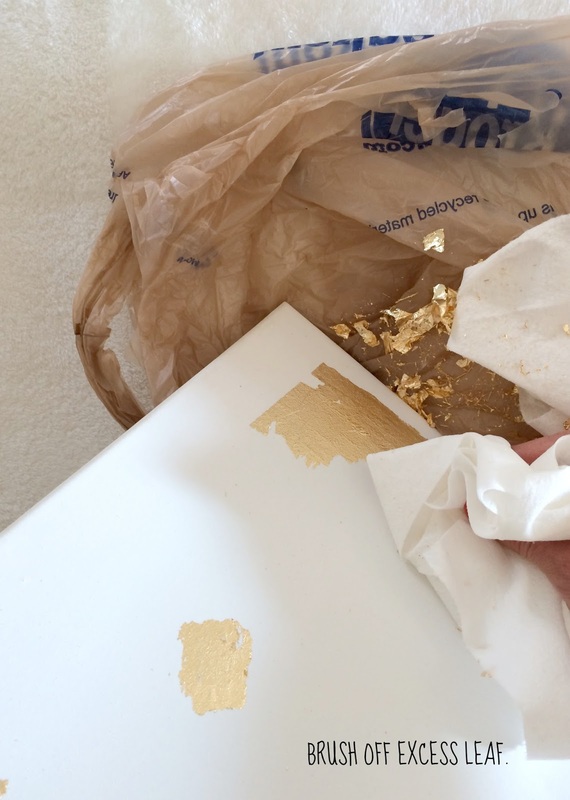 Since I was using oil paints (just because I love the way they look), I applied my gold leaf first. Oil paints take forever to dry, and this thing is still wet almost 24 hours later. I know. It's hanging on my wall. 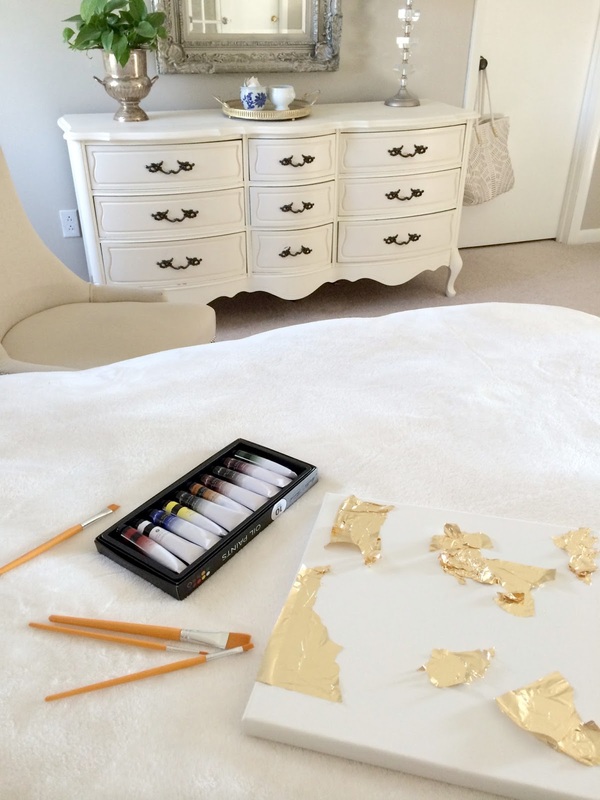 But, anyways, if you use acrylic paint, you can apply the gold leaf before or after. 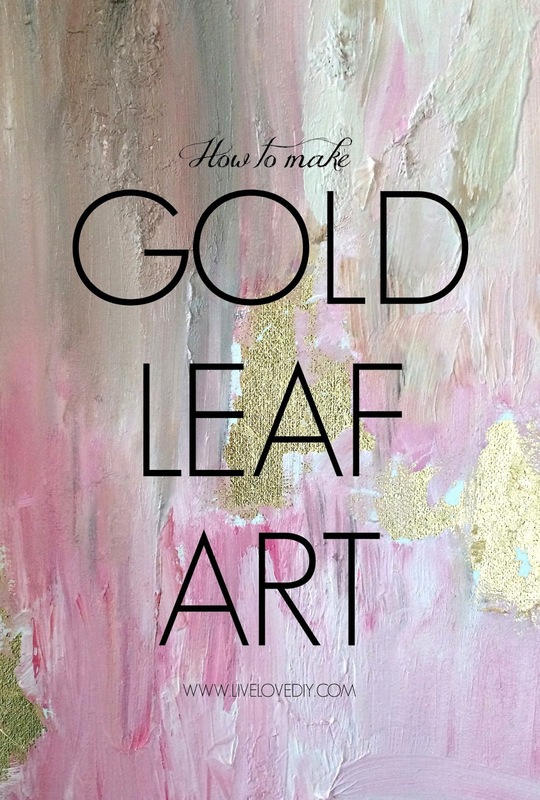 Just apply the glue wherever you want your gold leaf to be. I swirled it around randomly. 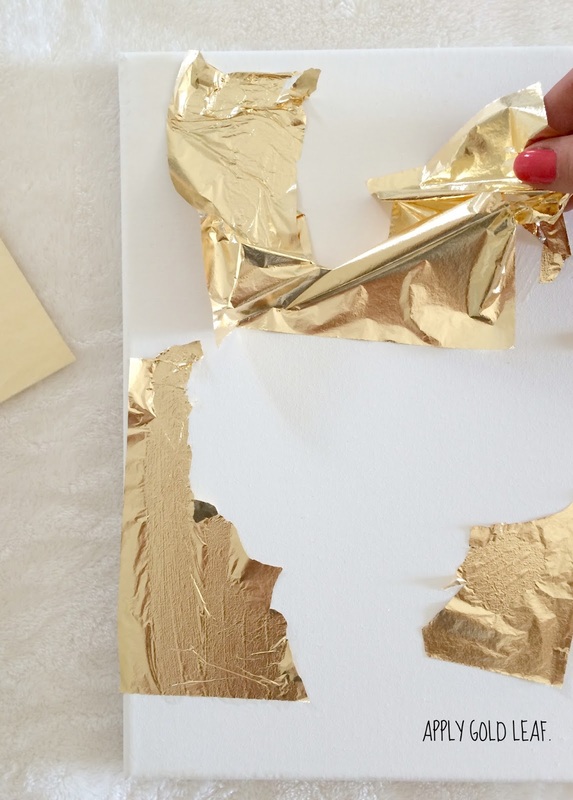 Then, put a sheet of gold leaf over the glue. This stuff is flimsy and gets flakes everywhere if you're not careful, so I was extra delicate with the manhand. After allowing the glue to completely dry, I just used a paper towel to shake off the excess leaf into a bag. 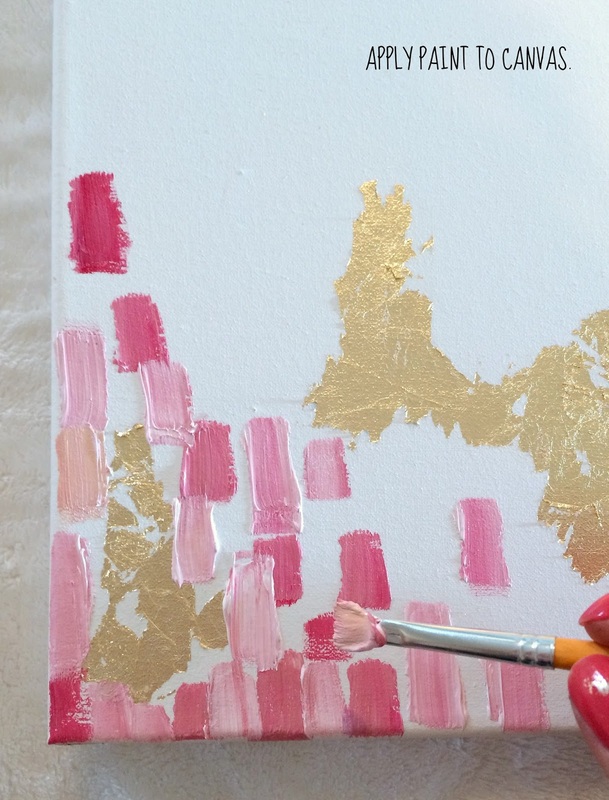 Once your gold leaf is done, it's time for paint. You don't have to do this next step, but I really love the way it looks. 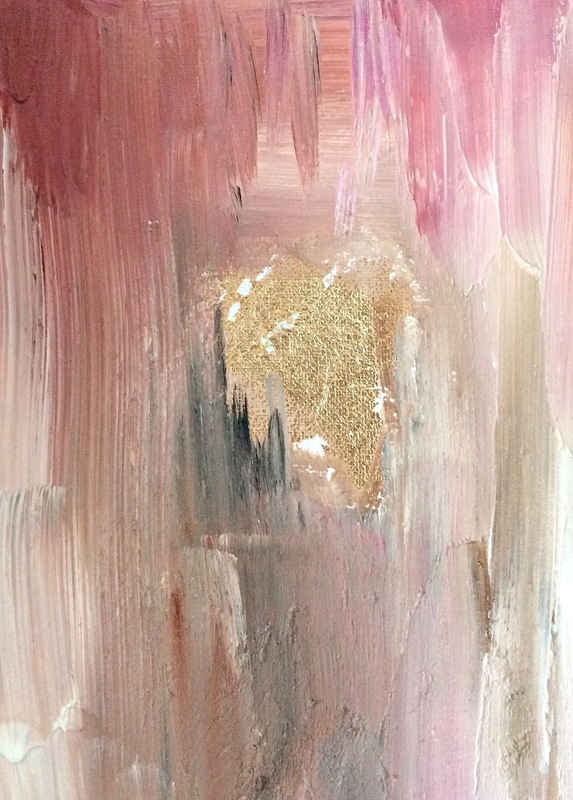 I mixed in heavy structure gel into my paint after I mixed it, just to give it that 'impasto' look. 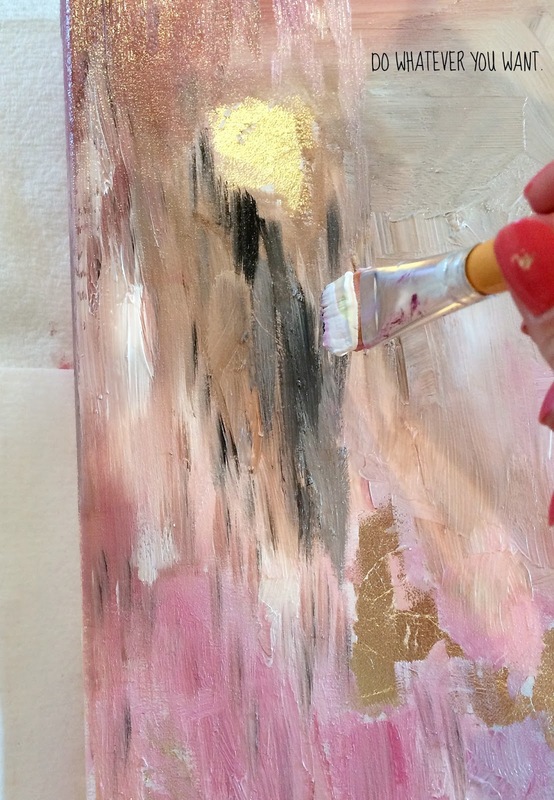 It basically just makes your paint have texture and stand out from the canvas. 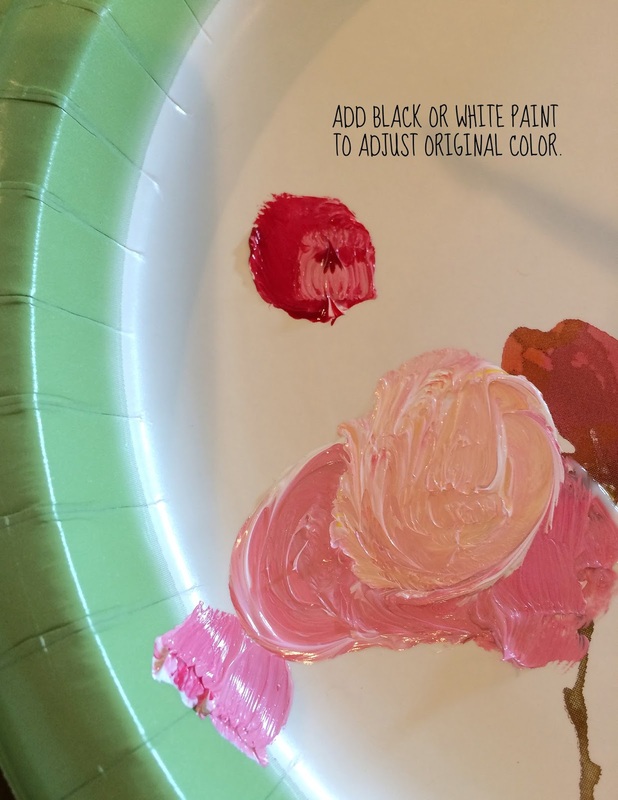 I just used a paper plate for my paint mixing. Luxury. You can make your art in any shape, color, form, or texture. That's what makes it abstract. 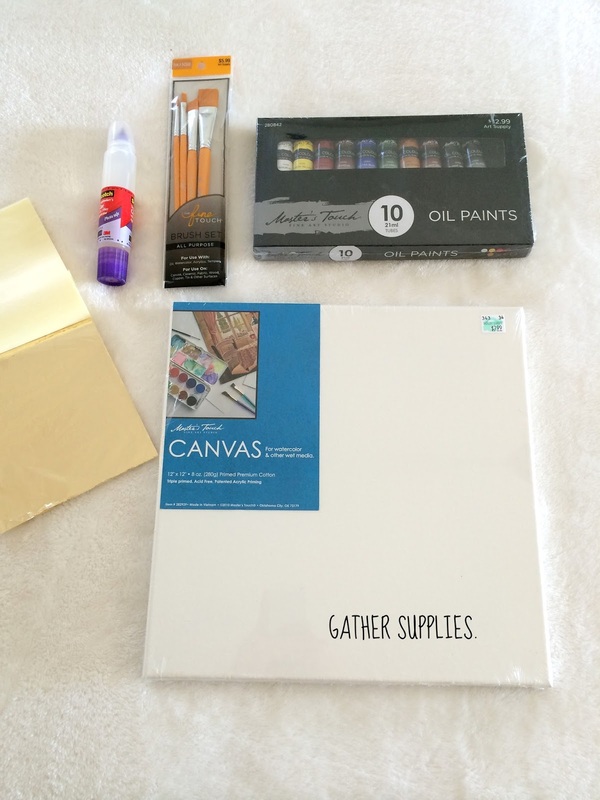 If you buy a paint pack like I did, they usually come with most of the basic colors. You can mix and match them to create other colors, and then add white to lighten or black to darken. 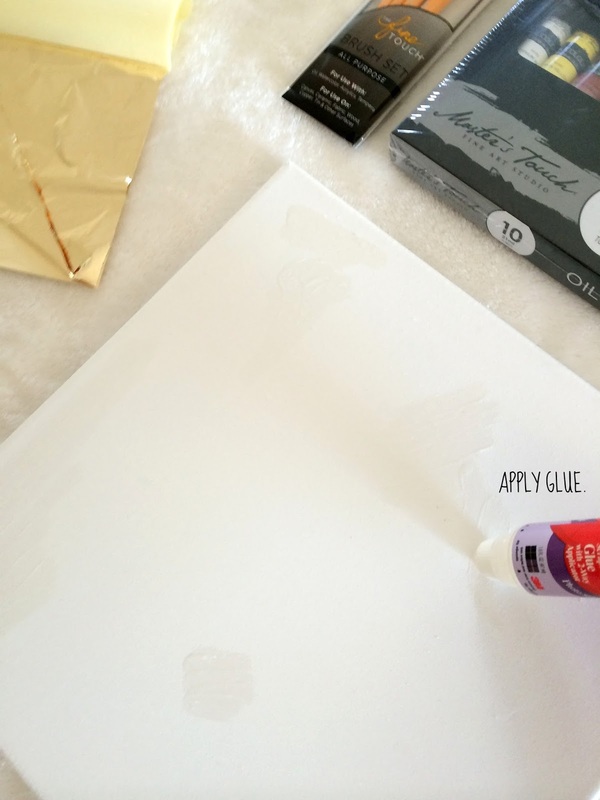 I actually have this little color wheel that I use when mixing paint (affiliate link). A reader suggested it to me way back in the day, and I've been using it ever since. I really struggled with mixing colors when I first started painting. Mostly because I would overmix and end up with brown, brown, and more brown. And I've since learned that a little color mixology knowledge goes a really long way when making art. So, for those of you who find specifics helpful, that big blob in the below pic (the lightest one) is red paint, mixed with a tiny bit of yellow, and then lightened with white. I used a lot of that combo on this painting. I painted on this canvas forever, tweaking it and blending it. Eventually, it got to a point where I really liked it. This is another reason I love oil paint. You can keep playing with it for a lot longer than you would be able to if you were using acrylics. 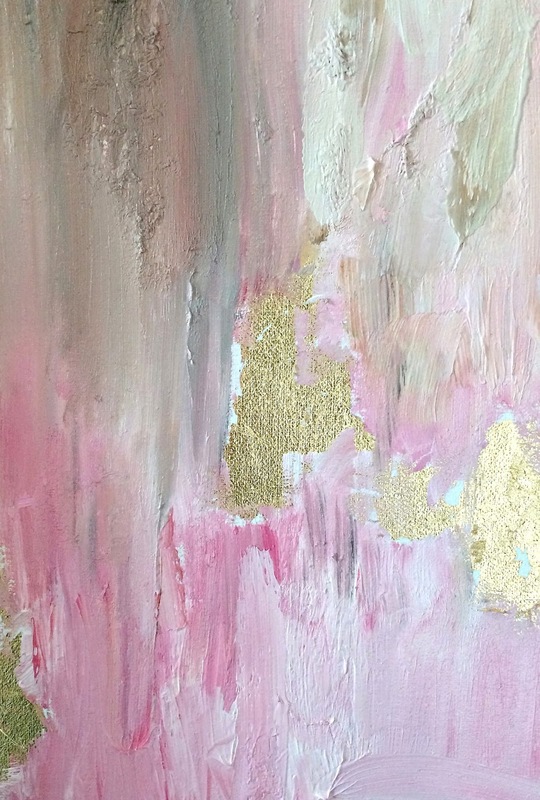 There are really no rules when it comes to making abstract art. My rule: If you love it, it's art. I'm just a sloth painting and living in my bed, so my opinion may not carry all that much weight. But, just in case you were curious. Also, here are the Google image results for sloth. Just to hammer home how I'm feeling these days. So, here's the finished product, still slightly wet. I had to take it down temporarily after I photographed it today, just to avoid the inevitable curiosity that would've surely ended with pink paw prints all over my bedroom. You can really see the effect the heavy structure gel has when mixed in with the paint. It's provided me with great joy during my time of need. Almost as much joy as discovering this little gem while moving all of our stuff last month. 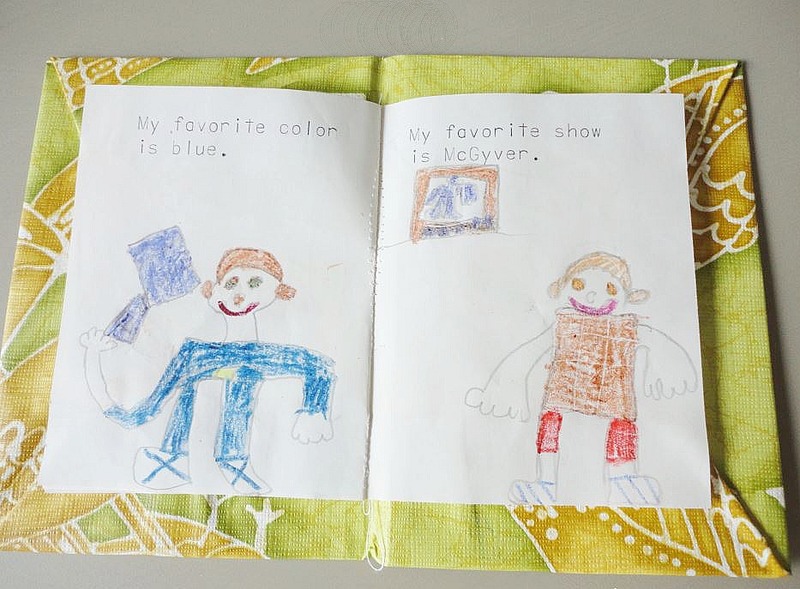 Imagine finding a book your husband wrote when he was five. And it's about his love for McGyver. And he draws himself with hair on his ears. Mull that over and get back to me. 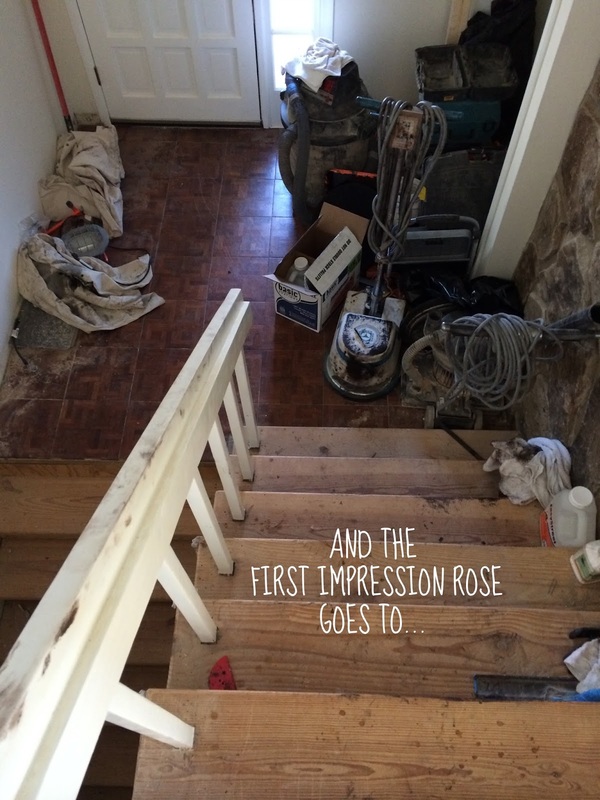 I'll be back soon to share the hardwood floor reveal.